Bethesda, Md. : You were reportedly the basis for the character Naresse Campbell on HBO's "The Wire." Campbell plays a shrewd, calculating politician intent on winning the mayoral seat. Have you seen the show and, if so, what are your thoughts on the character you inspired? 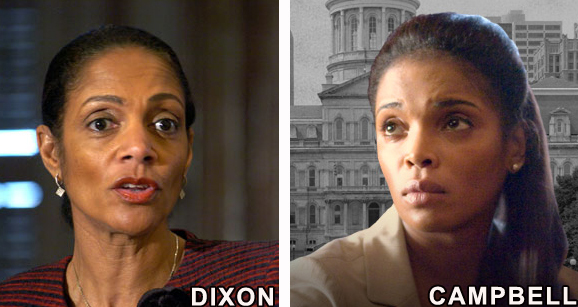 Mayor Sheila Dixon: First of all, I do watch and enjoy The Wire. The fictional City Council President and I have very little in common. One: I'm very focused on results. I'm much less concerned with political ramifications. Two: I don't curse in meetings and while discussing issues. However, we do have a similar fashion sense. And we are alike in being no-nonsense elected officials.